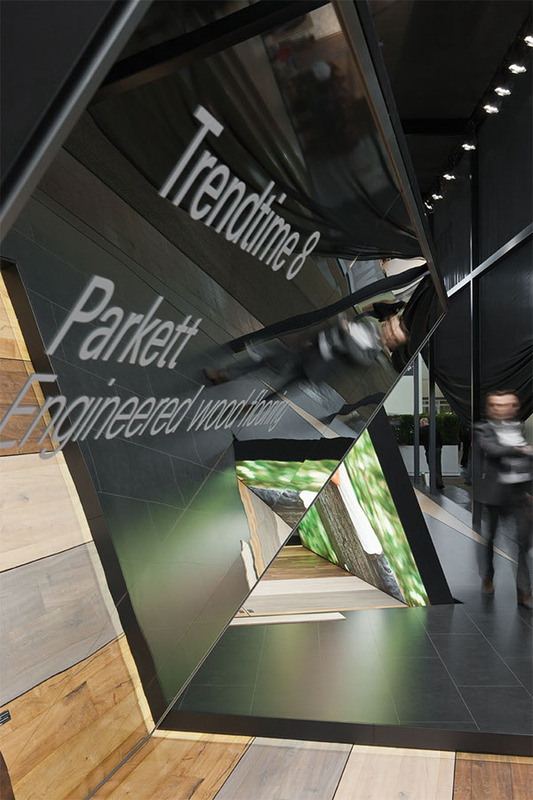 A 6.5 metres high solitaire in hall 9 of Domotex 2012, the world’s leading tradeshow for flooring, ensures that the presence of Parador is tangible from afar. 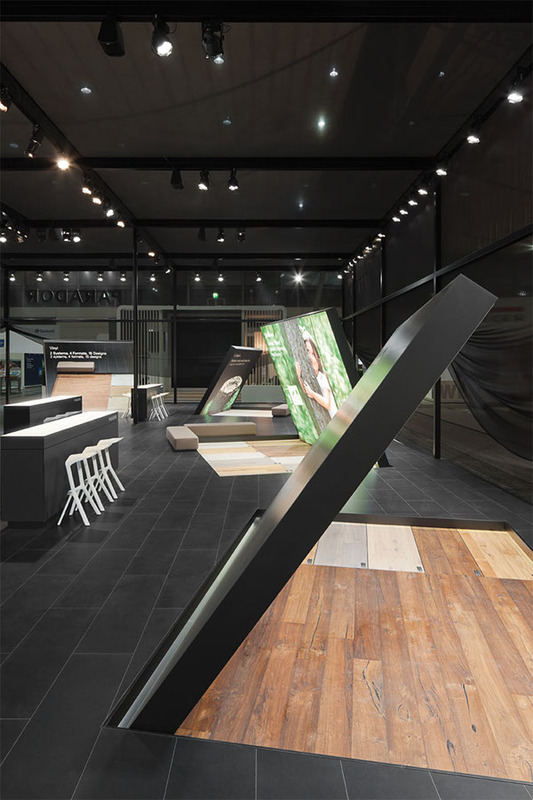 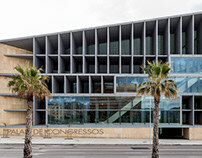 Five architectonic quotes of floor panels rise up out of the stand’s surface. 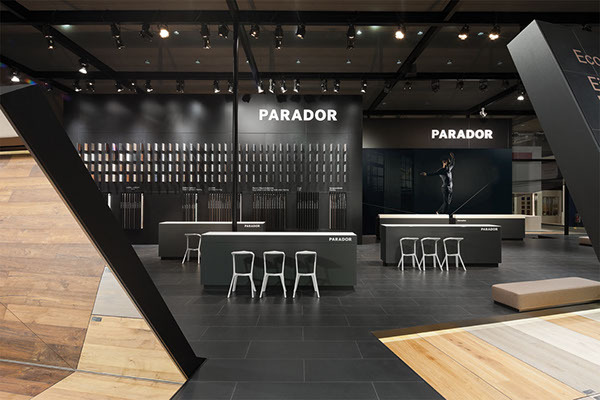 They create a new dimension for the topic that is often casually dealt with and thus an appropriate stage for the high-quality Parador products. 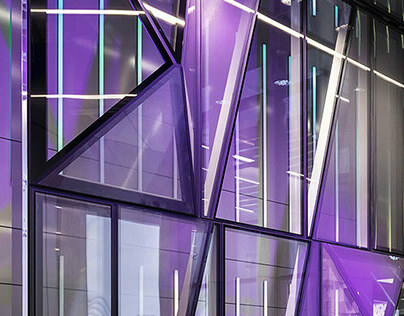 Black transparent gauze encloses the fair appearance’s steel construction, on the one hand to delimit it and on the other to simultaneously enhance the open design concept. 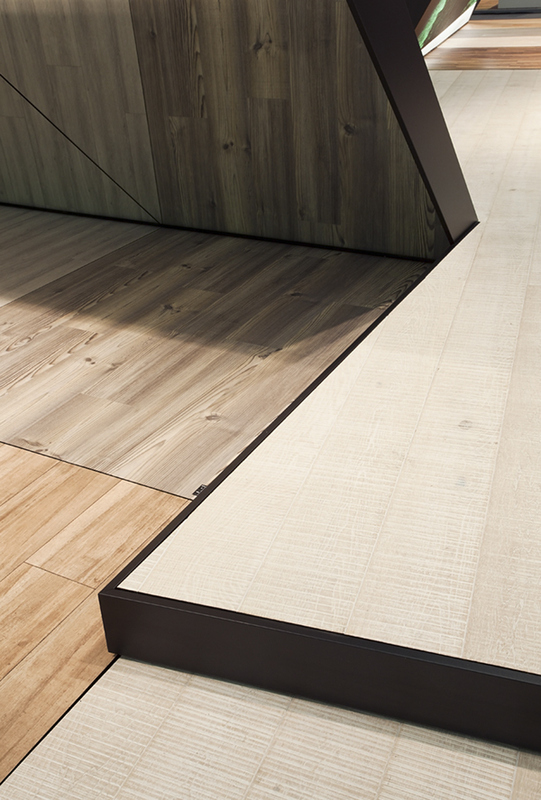 With the help of the gauze that encloses the stand, the atmosphere in the stand’s interior makes the surrounding appearances retreat. 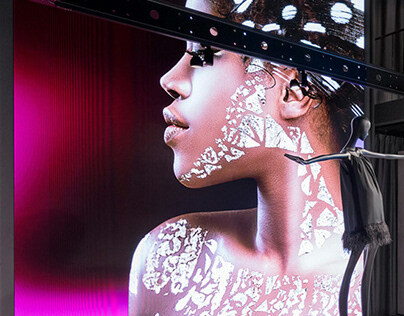 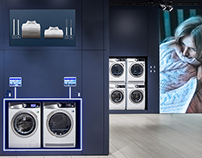 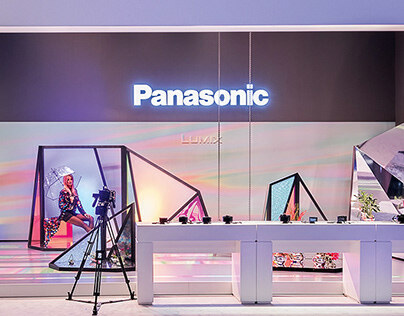 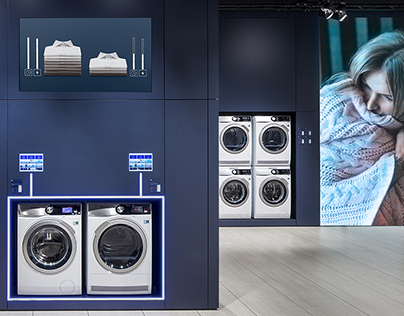 The focus is drawn onto Parador’s topics: The new product highlights are communicated via all in all five panels that are lifted up from the stand’s floor and are equipped with backlit graphics, mirrors that reflect the products and a film. 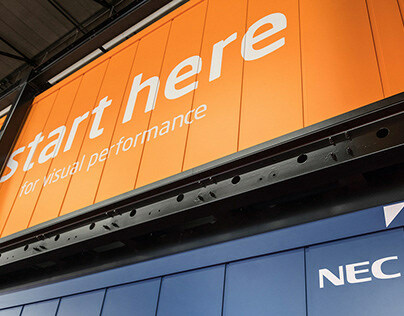 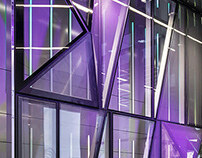 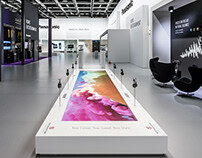 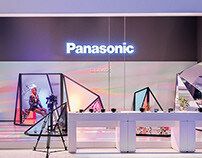 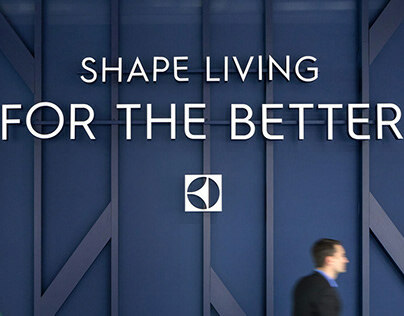 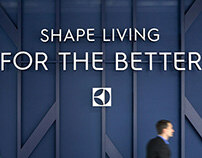 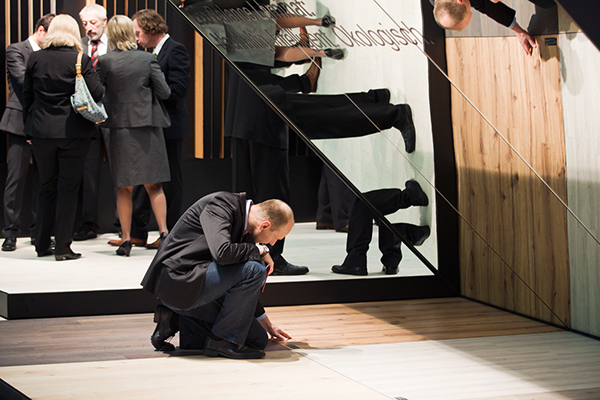 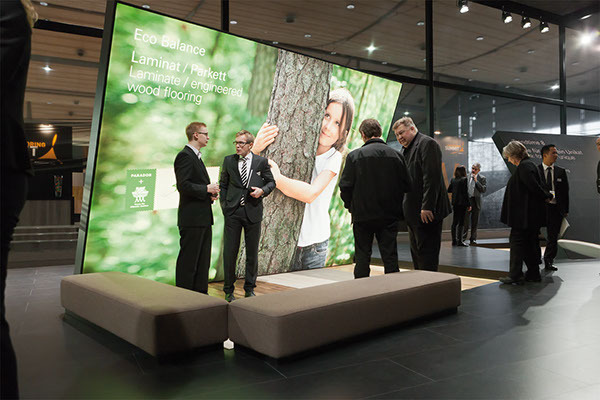 The stand’s design offers fair visitors the opportunity to haptically experience the products and their quality on-site. 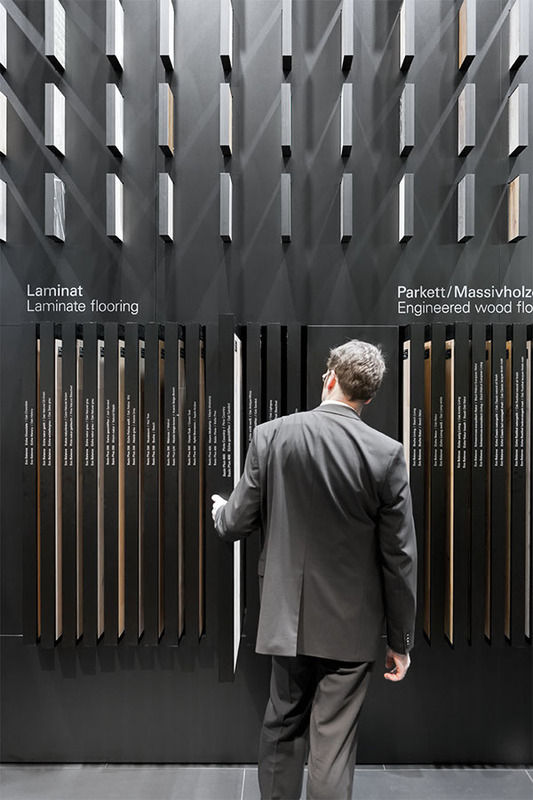 A major materials library, where product samples can be vertically pulled out of a huge wall at the back of the stand, visualizes the products’ and materials’ variety. 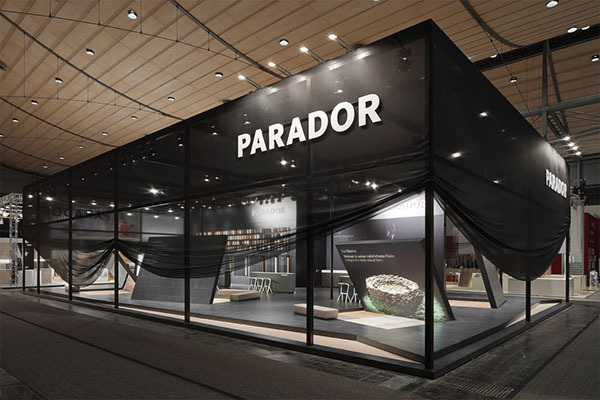 The basic illumination of all Parador products corresponds to the natural daylight in order to present the materials in the closed fair hall in their real colour shades, while warm light shades ensure that the visitors feel comfortable in the fair stand’s communication area. 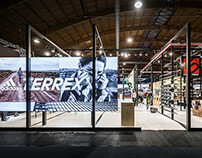 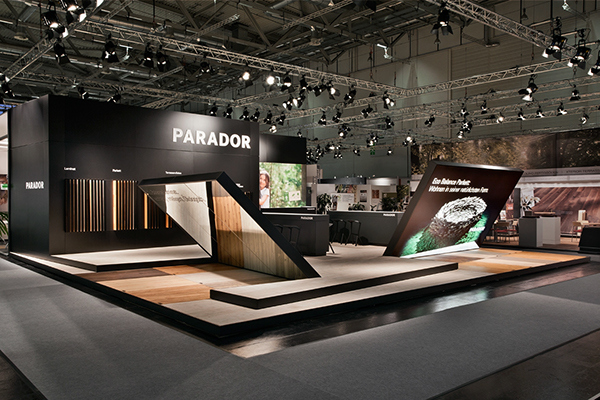 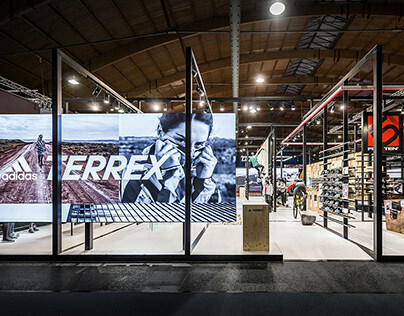 According to the requirements of the various fair contents, Parador uses this stand concept at different fairs adapting it in size and shape, for example at the Branchentag Holz and the imm cologne 2012.